In 1978 Sam Raimi released a short film called Within the Woods starring Bruce Campbell witch was a story about a group of kids renting a cabin when all Hell breaks loose it was made on a $1600 budget in hopes to show Hollywood execs that they could make a horror film like none had ever seen. They got the go ahead to make the full length film which released in 1981 with the title of Evil Dead. 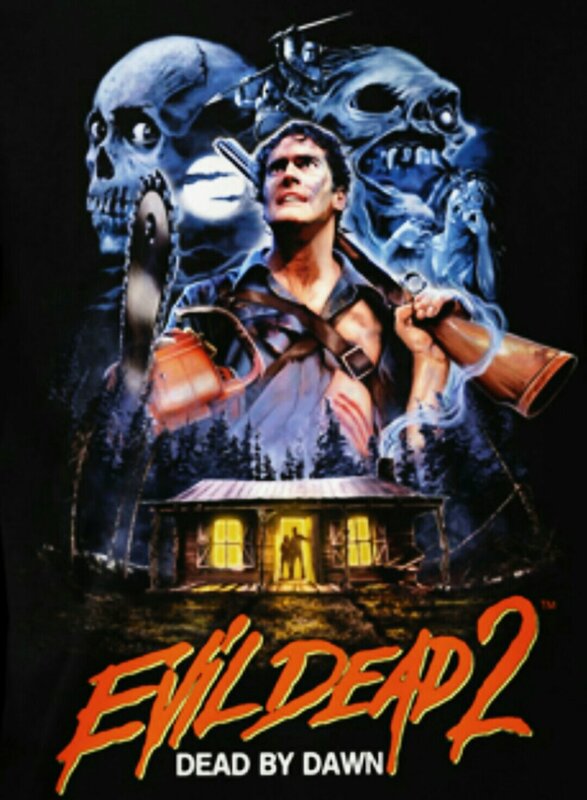 It garnered such a cult following that they made two more entries Evil Dead 2 (‘87) and Army Of Darkness (‘92) respectively. It also spawned a few games as well. They were very unique and fun to play. Ashe Vs The Evil Dead takes off almost 30 years after the events of the first movies, and once again the evils of the Necronomicon are released into our world and only one man...ok most of a man (missing one hand), can stop the evils from taking over our world. This show was released on Starz and garnered a heavy following because of its ability to stick to the source material. The show keeps everything that made the movies a big hit with its fans. They kept the gore, the violence, the horrible one liners, and of course the camera style that was so unique to the movies. There was a sardonic, wise cracking campiness that the movies had that holds true in the show. This truly felt like a continuation of the much loved film franchise that I grew up with. The show covers things that you never thought of as a fan like what happened to Ash when he went home after the events at the cabin and of course where he is in life now. They built a much richer universe for the Deadites and the Necronomicon, while constantly paying homage to the original movies. They introduce so many new characters, adding layers and layers to the story that only make the whole package that much better. Characters like Pablo and Kelly, a pair of sidekicks to our Hero, offer a familial tangent for Ash to lean on and grow with that only strengthen the story as we move forward with them. And I have to say it. The pure joy I experienced watching the stunned and often bewildered sidekicks as they are, quite liberally, drenched in a torrent of bloody downpour whilst our hero chainsaws through each new deadite, gave me full belly laughs with each new scene. This show is marked with clever writing, crude gags and loveable characters. Incredibly physical, slapstick humor and blood-filled buckets of nostalgia. I've never had so much fun binging a series as I have this one that I personally cannot wait to do the same to the third season when it finally comes out. I would rate this show a solid 10 out of 10 because of how well they tackled this show and the reverence they paid towards it. Hail to the King baby.